There’s not much of a mushy middle when it comes to gin. People either love it, or they detest the very mention of its name. In many and varied ways, gin is the cilantro of the cocktail world. It informs and changes every little flavor it comes into contact with. Used judiciously, it’s wonderful. Sprayed across the board like a drunk redneck with a shotgun… Well.. Well it’s still pretty swell. And yet, there are those who cannot fathom the joys of gin. We feel for them, as they will never know the rainbow of flavors that any number of gins can bring to the palate. 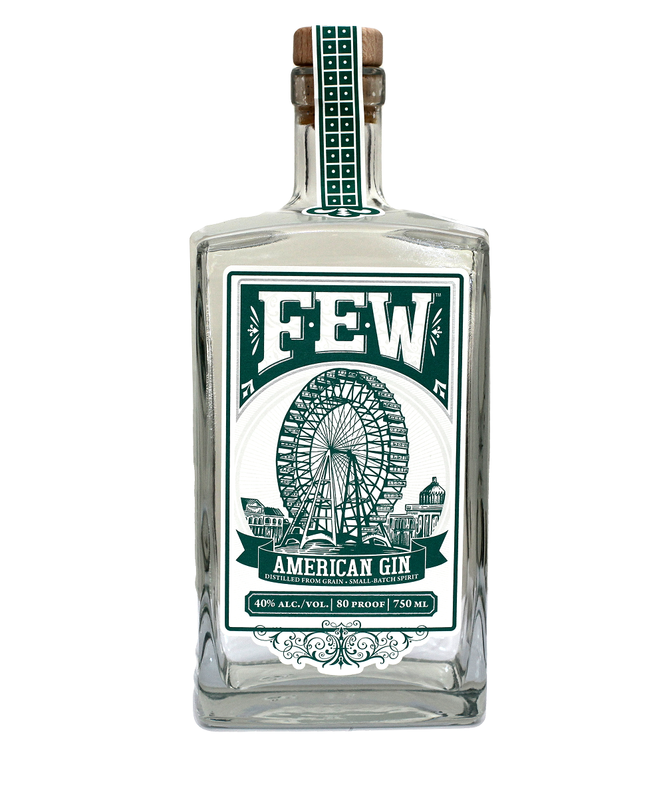 FEW offers three different versions of gin in their portfolio, the American, Standard Issue, and Barrel Gin. It’s sweet. Surprisingly sweet. The vanilla from the first little whiff dominates any of the other botanicals that may be there. There’s not a strong juniper scent until the very end, with hints of lemon and citrus. It’s a unique nose, that’s for sure. The nose belies of the sweetness of the actual gin. It reminds us almost of a straight American gin like New Amsterdam, or even a Genever, but not nearly as heavy. The vanilla flavors come on powerful, and dissipate to lighter pine that lingers and then promptly vanishes. The flavor deepens and the woodiness comes out a bit more. There’s a hint of bitterness that comes to the forefront as the drink cools and the botanicals clear up a bit more. The vanilla becomes stronger, and the juniper clears up on the back. This gin grew on us. At first blush it came across as a sweeter than we prefer for a gin. However, revisiting the sample, the uniqueness began to endear it to ourselves. In the end, we can definitely appreciate what they’ve done with the gin, although it’s not likely to become our go-to. Definitely worth a pick-up if you appreciate the broad symphony available to gin drinkers.